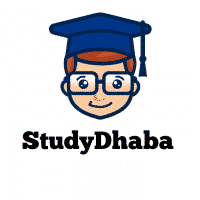 Vision IAS prelims 2017 Answer key pdf Download -Paper 1 & Paper 2 – Hello Friends Welcome to studydhaba.com .Here We are Sharing UPSC prelims 2017 Answer key for Both GS Paper 1 And CSAT Paper 2 from vision IAS Academy. Vision IAS Academy is one of the Best IAS Coaching Academy In India . With the Help of these Answer Key from Vision You can get an idea About how Much You are Scoring in UPSC prelims Exam. UPSC prelims 2017 was Conducted by UPSC on 18 June 2017 .There two Papers – GS Paper 1 and Csat Paper 2. Exam – UPSC prelims 2017 Exam.